We are accustomed to talk about brands and branding as important symbols and messages of intent and world-view. Sometimes the messages inherent in brand decisions are harder to interpret. 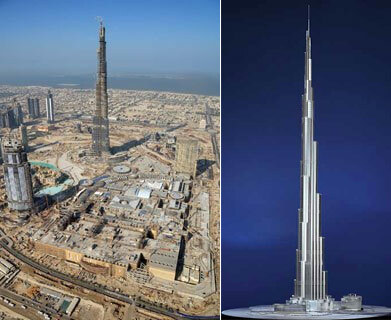 Case in point is the sudden change of the brandname of the world’s tallest building. From its very inception a decade ago, the edifice was branded as Burj (tower in Arabic) Dubai and was positioned as the crowning jewel of this free-wheeling emirate from which it took its name. In 2009, Dubai was hit hard by the global recession, and has been saved from collapse by a massive influx of capital from the neighboring emirate of Abu Dhabi. 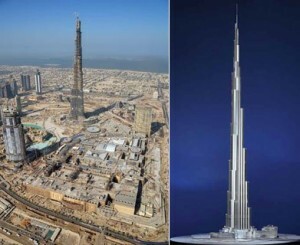 The day after the financial agreement was signed, the emir of Dubai announced that the building would be rebranded Burj Khalifa, in honor of the emir of Abu Dhabi and UAE President Khalifa bin Zayed Al Nahyan. Not only did this cause dismay for the hundreds of small business owners who had already sunk money into souvenirs that now had the wrong name, it caused a good deal of speculation among the UAE political elite. On the face of it the rebranding was an over-the-top thank you to the city’s financial savior. However, readers of the political scene here interpolate two other possible scenarios. In the first scenario, Sheikh Khalifa insisted on the name change in order to humble his rash neighbor and to further his political agenda of pulling the United Arab Emirates into a more tight union with Abu Dhabi at the center. In the second, more cynical scenario, the name change was made by the emir of Dubai as a poisoned chalice for his cousin Khalifa, associating his name and reputation inextricably with the excesses of Dubai, which he has, in the past, vocally denounced. No one will ever know for sure, but in either case, brand is being used as tool of subtle politics.